RCE WatchDogs email list: 2018/2019 Rummel Creek Elementary Watch D.O.G.S. 2018/2019 Rummel Creek Elementary Watch D.O.G.S. 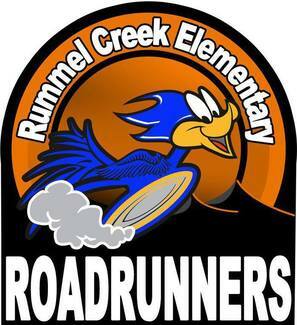 Welcome to the 2018/2019 Rummel Creek Elementary Watch D.O.G.S. sign up list! Welcome to the Rummel Creek Elementary Watch D.O.G.S. sign up list! The process is simple: sign up for your day(s) below and include your child's name, grade and teacher's name. A few days prior to your chosen day, we will send you an email with your itinerary for the day, a list of helpful tips to make your day successful and a list of RCE guidelines to follow. You will also receive a reminder from SignUpGenius.com. We ask for 1 day per year, but you are welcome to do more if you wish. Note that some dates have been blocked out by the administration for testing, etc. Your day will typically consist of assisting with the morning car rider line, getting your picture taken with your child and making a guest appearance on the morning announcements, spending time in your child's classroom and eating lunch with your child, volunteering in other classrooms and grade levels throughout the school and assisting with dismissal at the end of the day. Verify you have registered as a volunteer with SBISD for 2018/2019 prior to your scheduled day (link below)YOU WILL NOT BE ALLOWED TO BE A WATCHDOG UNTIL YOU DO THIS!!! This must be done every year!! We look forward to having you on campus and thanks for being a WatchDOG!! If you have any questions or concerns, please e-mail Chris Holmes @ [email protected]. Parent Survey link for those interested in helping with the new in class Career Intro program.